We, at Helen Yunker Realty, have assisted clients in the sale and purchase of their Ventura homes for over 35 years. The trust of the client and the integrity of our agents is paramount to our business. We are proud of our reputation as a Ventura tradition, and it is your trust in us that has helped us to thoughtfully navigate over three decades of changing market conditions as well as an evolving Ventura landscape. Whether you are looking for a breathtaking beach house, a stately hillside homestead rising above the sea, or a sprawling ranch nestled in a valley, Helen Yunker Realty has the experience that you seek and the personalized service that you deserve. To hold in the highest esteem the trust of the client. To build and maintain a clientele by offering personalized service and intimate knowledge of our local market, valuable insight and informed opinions. We strive to make certain that our clients have the information necessary to make educated decisions. To be the trusted source of residential real estate opportunities—for residential or for residential income—within Ventura county. To maintain our legacy as a valued resource for the client and a steward of the Ventura community. To present a professional, well-trained choice of agents that have a reputation for striving to provide relevant and timely information as well as a devotion to the goals and needs of their clientele. To deliver successful marketing plans that incorporate current real estate values, trends and innovative exposure techniques specific to the needs of each property. Since Helen Yunker played a primary role in the incorporation of the Pierpont Beach area into the city of Ventura in the 1960's, the name has been synonymous with real estate starting with the beach and marina areas and eventually growing to cover the hillside and beyond. 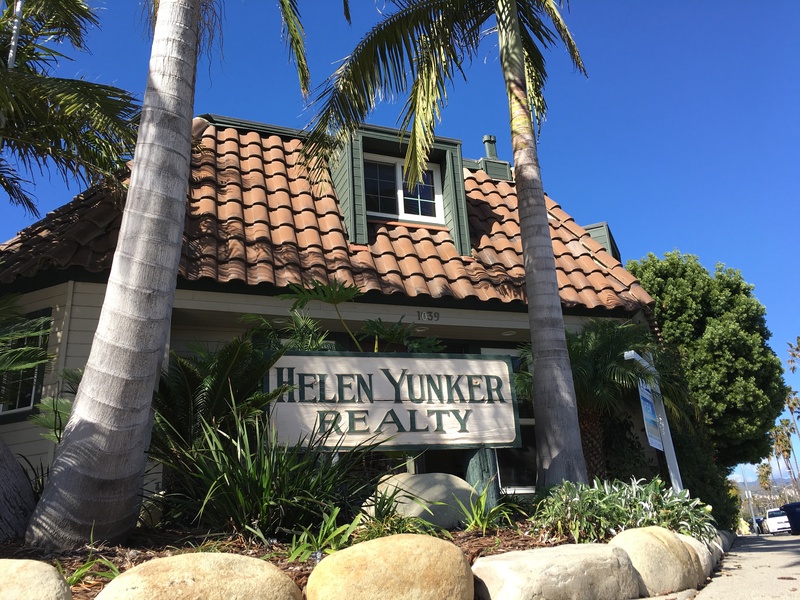 Built on the corner of Pierpont Boulevard and Seaward Avenue in 1979, the offices of Helen Yunker Realty remain at the heart of Ventura today. In 1986, after being friends for 10 years, Helen and Marty Harder formed a business partnership, which led to Marty taking over all of the operations of Helen Yunker Realty. In 1992, Marty Harder became the sole proprietor of the company and continued in the legacy of Helen Yunker Realty as the dominant real estate firm in the Ventura beach and marina areas, while expanding the company's market share to the rest of Western Ventura County. In 2008, Marty brought Jim Wick on board as a partner. As a longtime broker and associate of Helen Yunker Realty, combined with a shared personal philosophy that professional personalized service and integrity for the client are key, it was a natural move for Jim to become Managing Broker and oversee the day-to-day operations. Jim Wick brings over 30 years of personal experience and knowledge to Helen Yunker Realty and the Ventura real estate market. Through the highs and lows of our real estate markets, Helen Yunker Realty has remained a constant. While large national name brand companies expand and consolidate, we remain in the same location, following the same ideas and providing the same high level of personalized service to our clients. This dedication to our clients and our city has made Helen Yunker Realty one of the most successful long standing independent firms in Ventura.